I recently participated in a portfolio project through Just Seeds on the prison industrial complex. 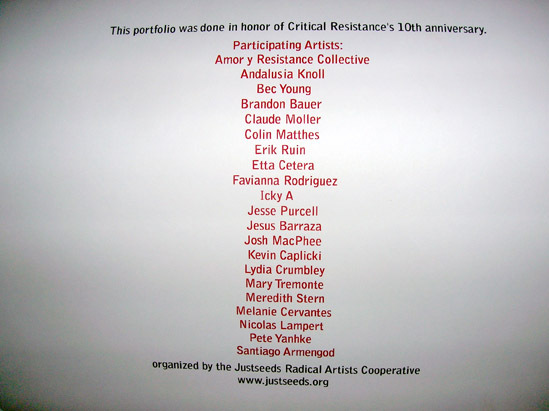 Recently, Justseeds has completed a portfolio project for the Critical Resistance ten-year anniversary conference in Oakland, California that took place on September 26-28. 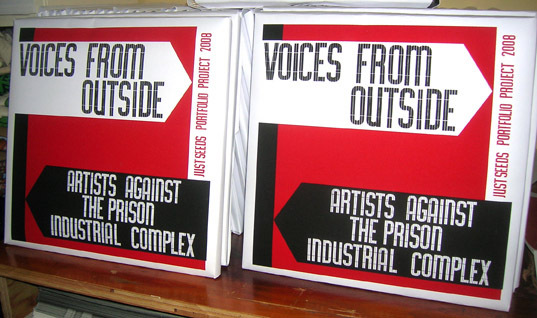 The project involved twenty artists from the US, Canada and Mexico who each created an original print that either critiqued or addressed alternatives to the prison-industrial complex. Each artist pulled 100 prints and the amazing JS crew at the Portland distro assembled the portfolios and created the covers that are displayed in the photos. Justseeds donated the bulk of the portfolios to Critical Resistance and 30 other groups who are organizing against prisons. 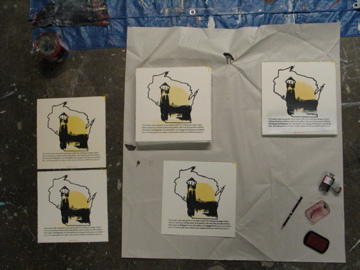 My print for the portfolio addressed the racial disparities specifically in the Wisconsin Prison system. I tried to make each print individual and slightly different from the rest in subtle ways- some by adjusting the background stencil, some by doing extra pulls of the silkscreen in with different colors, some use different papers, and some I dragged the screen in different ways to give variety to the pull. You can see other photos on my flickr page. For More Information visit the Just Seeds website.